Due to its rapid growth, the Salesforce.com ecosystem lacks a sufficient number of high quality and reasonably priced providers of advanced Salesforce.com platform-related services (e.g. Apex and Visualforce development) who are able AND willing to support not only larger, more strategic complex initiatives but also smaller tactically important requirements. We currently see this challenge in the United States and believe that Europe will experience similar challenges with Salesforce.com’s high growth rate in that region. CassaCloud aims to be a pioneer in the Salesforce.com ecosystem by providing flexible, consistent, fairly priced high quality technical services to small, mid-sized and large organizations globally. We believe that customers should not have to choose between quality and price – you deserve them both. We believe that setting realistic expectations and meeting or exceeding those commitments should be the norm, not the exception. As a boutique we remain focused on the Salesforce.com-platform and hire only the best developers and consultants, ensuring the highest quality of services. CassaCloud is headquartered in Košice, Slovakia and maintains offices in the United States. Our Košice headquarters places us in one of the most technology rich talent pools in Eastern Europe. Many global IT organizations already have chosen to establish offices in Košice for the size and quality of developers who live, study and work in eastern Slovakia. Our offices in the United States enables us to keep a pulse on the fast paced and highly evolved North American Salesforce.com marketplace while providing our North American clients a local presence. Regardless of your organization’s location, global IT staffing is challenging. Employees change jobs more often, workloads and projects are difficult to predict and employment costs are rising. CassaCloud provides our clients with an ‘on-demand’ model to scale their IT organizations. Rather than clients hiring one Salesforce.com resource who may not possess the range of skills needed to support their organizations, they have access to a team of developers and consultants who possess a diverse range of Salesforce.com platform skills. Our high value services are cost effective and reduce risk for your organization. 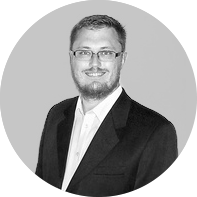 Valer is a co-founder of CassaCloud and manages both the strategic vision and day-to-day operations. 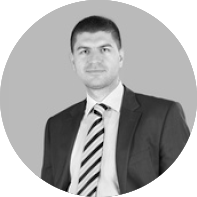 In addition, Valer remains intimately involved in projects and client relationships leveraging his unique combination of deep technical subject matter expertise and strong business acumen. During his tenure at IBM, Valer held a sales role in the Collaboration division with responsibility for both enterprise and SMB clients. Prior to IBM, Valer held various technical project management roles at AT&T. Valer already has established a strong track record in leading complex Salesforce.com platform related projects for CassaCloud’s global client base. Valer was educated at the Technical University of Košice where he earned a master’s degree in computer science. Valer lived and worked in England and continues to build a strong international business network. Outside of the office, Valer enjoys fishing, spending time with his family and playing bass guitar. Karel (“Kajo” pronounced “Kai-oh”) is a co-founder of CassaCloud and oversees all aspects of technical services related to coding, integration and data. Kajo brings to CassaCloud extensive technical expertise having spent six years in a senior developer role at an Eastern European-based gaming company. Kajo also held a developer role at a desktop publishing company where he focused on creating interactive animation for e-learning solutions. His passion for computers and software started at the young age of seven when Kajo took his first programming course. In the Salesforce.com ecosystem, Kajo has quickly become one of the top coders overseeing complex Apex and Visualforce-based solutions for large-scale deployments. Kajo was educated at the Technical University of Košice where he earned a master’s degree in in electronics and telecommunications engineering. Kajo passions (besides coding) include badminton, fishing and spending time with his family. 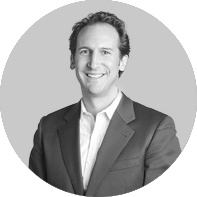 John is a co-founder of CassaCloud and serves as a strategic advisor across all areas of the company’s operations. He brings to CassaCloud of wealth of knowledge from having successfully founded V2, US-based boutique management and technology consultancy, where his current role is CEO. While working with Oracle Corporation in Venezuela, Boston and New York City, John served as a customer relationship management strategist, media & entertainment solution specialist and account executive. Other roles included business development & marketing at a technology consultancy and financial analysis and product management at a medical device startup. John’s extensive media operations consulting background and network across various sectors has helped him earn a reputation as a transformation specialist for early-stage and global media organizations. John was educated at Washington University in St. Louis where he earned a bachelor’s degree in physics and an M.B.A. John’s international living experiences include the Dominican Republic, Venezuela and Slovakia. His passions outside of work include spending time with his family, enduring Bikram yoga, exploring cities on foot and striking up random conversations with people from all walks of life.